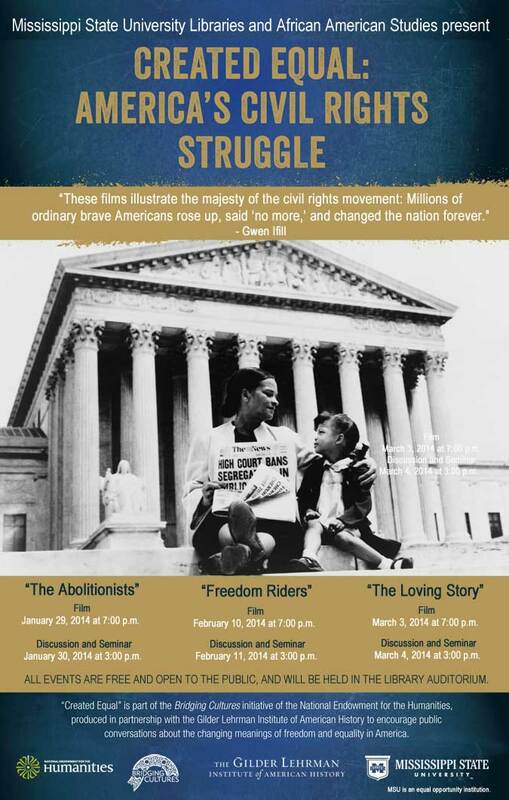 This guide accompanies the Created Equal film series, hosted at MSU Libraries and sponsored by the National Endowment for the Humanities and the Gilder Lehrman Institute of American History. Photos from the Created Equal events are now part of our Digital Collections site! 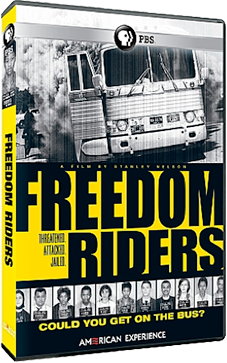 Audio recordings of the Freedom Riders talk, panel discussion, and very special sing-along have also been digitized in University Archives! "Created Equal: America's Civil Rights Struggle" is a series of film screenings and conversations that discuss the history and continuing impact of the Civil Rights Movement in the U.S. The National Endowment for the Humanities and the Gilder Lehrman Institute of American History contributed to the 2013 debut of this program, which commemorated the 150th anniversary of the Emancipation Proclamation, and continues to nurture a forum on Civil Rights issues. 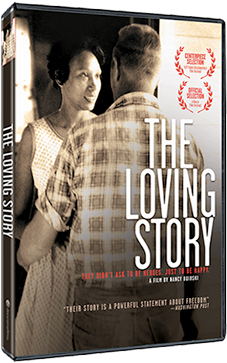 The MSU Libraries, in conjunction with the African American Studies department, will be showing three films and holding panel discussions to talk about the themes and implications in each of the films. 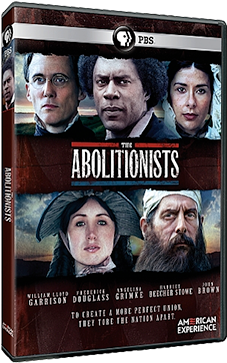 Learn more about this series at the Gilder Lehrman website, or read more about the featured films at the NEH Created Equal website. Each screening will be held at the Mitchell Memorial Library Auditorium. All screenings are free and require no registration to attend. See the complete schedule for screenings below, and click through this guide to find resources on each film. Each of the following films will be shown in the MSU Library Auditorium. For screening dates and times, see the schedule below. For more information about the films' content or for further information to accompany each film, please click on the links for a list of corresponding resources. Wednesday January 29 -- 7:00 p.m.
Thursday, January 30 -- 3:00 p.m.
Monday, February 10 -- 7:00 p.m.
Thursday, February 13 -- 3:00 p.m.
Monday, March 3 -- 7:00 p.m.
Tuesday, March 4 -- 3:00 p.m.